My name is Ray Giles, I am a fully qualified, DSA approved, Grade 6 driving instructor with BTEC Level 4 in coaching skills. I offer lessons ranging from 60, 90 to 120 minutes with collection and return from home, work or a location of your choice. My car is an air-conditioned dual controlled 1.3L Vauxhall Corsa. Driving lessons can be paid on the day or in advance. My hourly rate is £27 per hour with discounts for block bookings of 10 hours. Student discounts are also available. 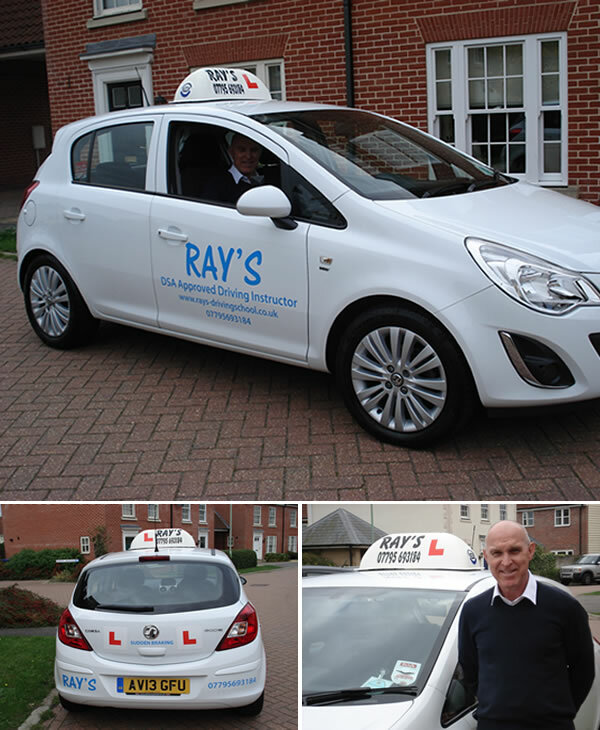 If you are a beginner or simply looking to brush up on your existing skills and require a friendly, experienced driving instructor please call Ray’s driving school on 01284 718071 or 07795 693184 or use the contact form.